Augview is both a mobile GIS, allowing users to view and edit their asset data from the field and an augmented reality application which allows users to visualize underground objects they wouldn't ordinarily see. How does using Augview increase efficiency and reduce costs for Asset Owners and Contractors? Staff who use Augview are equipped with more than just a GIS or data collection application. With augmented reality, Augview enables less experienced staff to be more aware of the environment they're working in. Imagine visiting a completely unfamiliar work site and within minutes, without digging a single hole, you are already aware of what assets are underground, who owns them, the customers who are connected to them and most importantly, where they are. Utilities use Augview for asset management, increasing and maintaining data accuracy and to assist with communication in the field. The Construction industry uses Augview as an advantage in the tender process by visualising complex 3D architectural models and to give site engineers a tool that will help them plan and manage their site more effectively. Augview is an augmented reality mobile GIS which displays asset data on Android and Apple iOS devices. 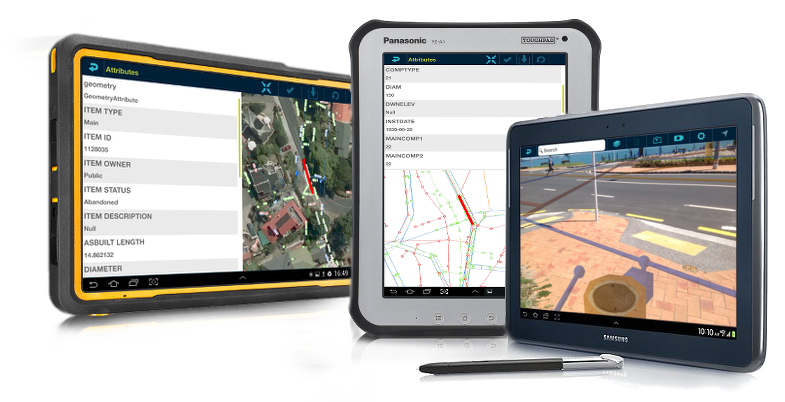 It is a fully functioning mobile GIS allowing users to view maps and edit data and also includes augmented reality visualization tools. With decades of knowledge in the utility and telecommunications industry, and a dedicated team of mobile and 3D developers, we specialize in providing solutions which provide our customers with tools to view their real world asset data through augmented reality. Looking for Augview Marketing Material to present to your Team?